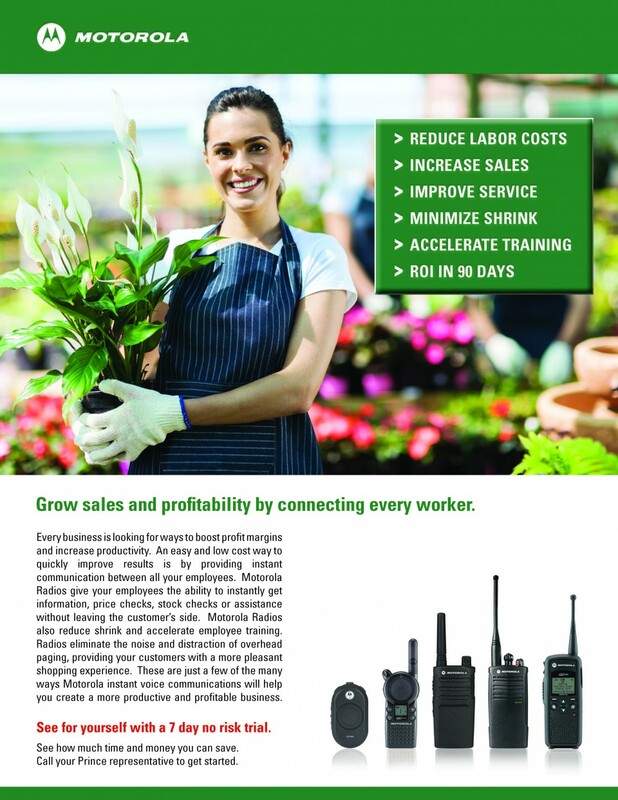 This advertisement for Motorola two-way radios was created to target the lawn and garden audience in the 2015 Prince Lawn & Garden catalog. 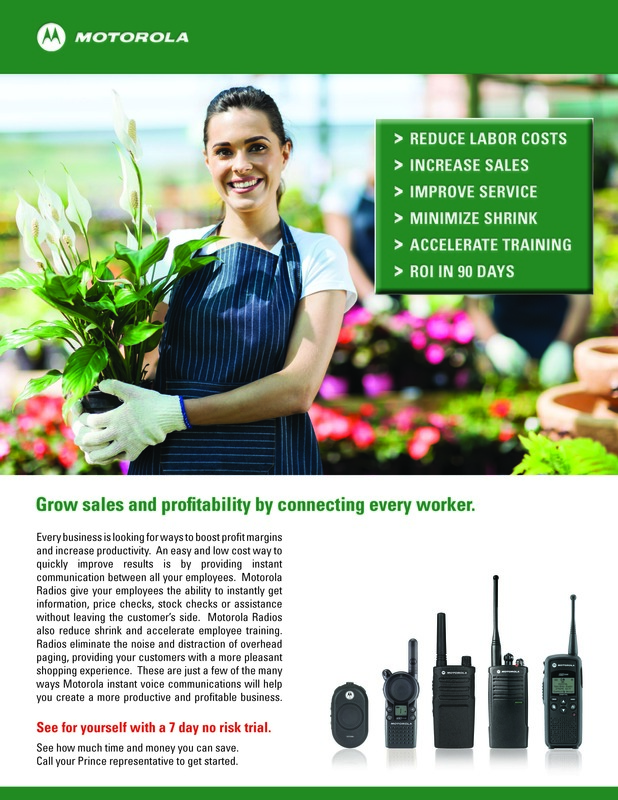 Communicating that two-way radios are a tremendous benefit to this industry as they often have a small staff covering a large greenhouse with a separated retail check out area. Communicating the benefits of how two-way radios optimized operations is key to converting readers to customers. 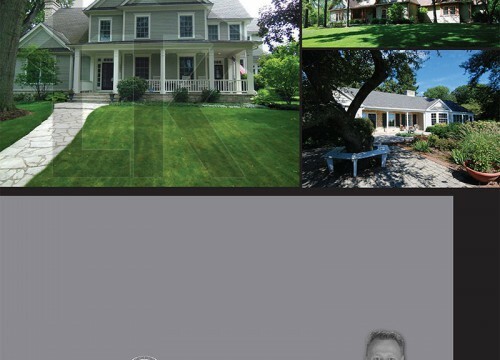 The bright and colorful image attracts the attention of the pre-qualified lawn and garden reader, the bullet points highlight the benefits of the product, and the content closes with a call-to-action with the 7 Day No Risk Trial.  This ad design is being used for both print and web advertising. 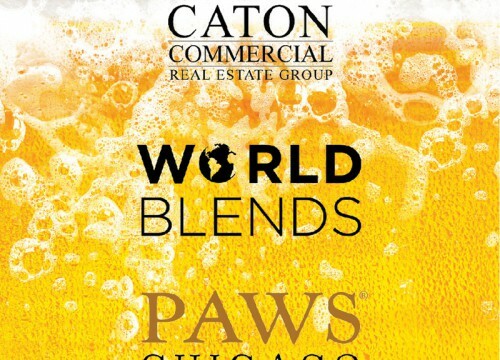 Check out our ad in the online version of Prince’s Lawn & Garden catalog. dream ink specializes in developing advertising that speaks to your target audience. Whether you need a print ad design or series of web banners to promote your product or service, we can help! Our dream team of designers are here to help you create compelling and effective advertising. 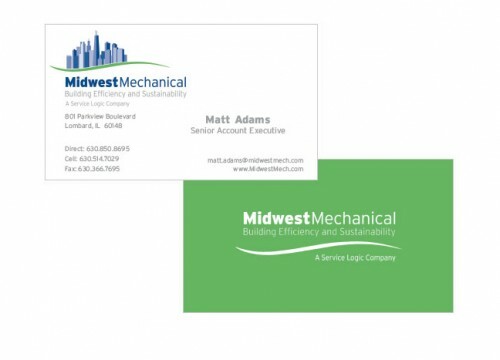 Call today to set up a free consultation or visit our Graphic Design page for more info!